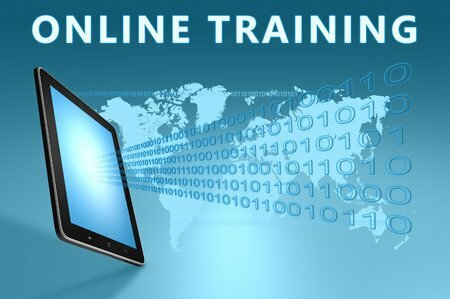 Our web-based and in-person training offerings get you up and running with Relyence quickly and efficiently. 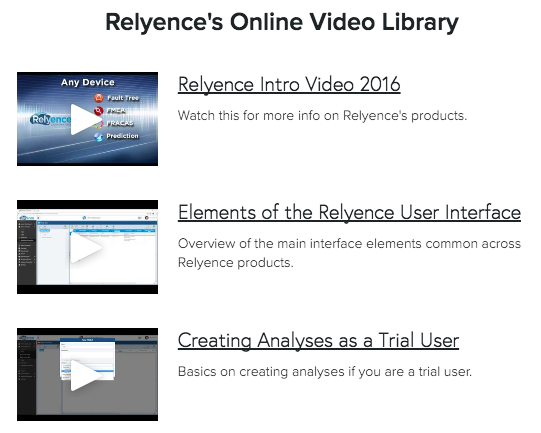 All our Relyence products are designed to be intuitive and user-friendly so that training is not required. If you prefer, we can provide comprehensive training to your team. 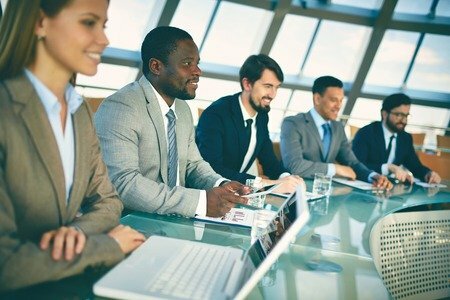 This may be helpful to provide a hands-on experience to get your team up and running quickly and efficiently. Relyence Training offers several options in order to help you achieve success. Our ever-expanding and continually-updated set of online training videos are available for free and unlimited use. These short 3-5 minute videos are designed to provide bite-size chunks in order to get you quickly up and running or to provide more details on specific aspects of our tools. Feel free to progress through the videos sequentially or jump to particular subjects where you would like more details. Watch them as often as you like! Click here to access our online video library. Relyence Training offers several options in order to help you achieve success.